Have you seen Office Depot/Office Max’s recent ad? 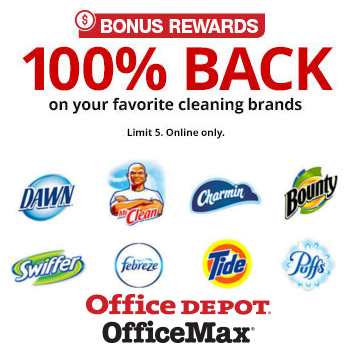 They have a whole slew of household items that will give you 100% back in rewards when you purchase them with your reward card. Log in to your reward account to make sure you’re credited. Rewards are issued monthly, and they have a 60 day expiry meaning it will be perfect timing for all those awesome back to school sales! Rewards are issued in 1,000 point increments. 1,000 points = $10. Your best bet to get the max points is to round off your total ($10, $20, etc) Unpaid rewards expire at the end of the quarter. Check your emails before you order! They sent me a $10/$25 or $30/$75 coupon. If you didn’t get one, make sure to use code 76643245 for 10% off. 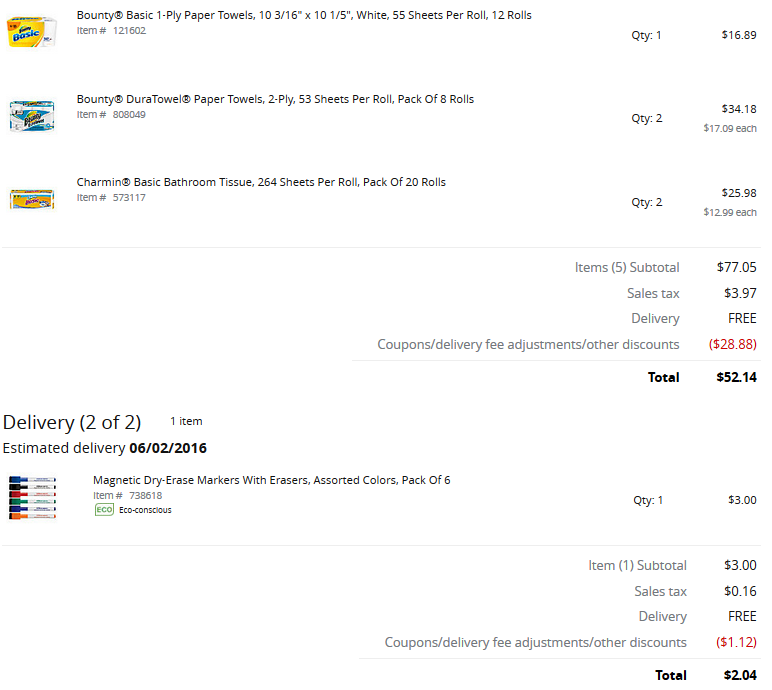 I ordered the extra dry erase markers to help round off my order so that I could get my full reward back.